FEN320010650000 Features: -Fend-All® Univseral Eyewash Stand is an inexpensive alternative to wall mounting and can be mounted to a floor or free standing for versatilty. 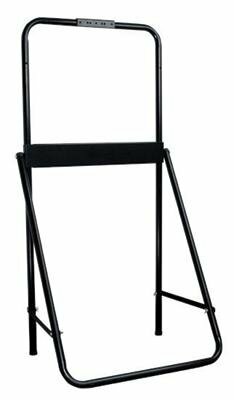 The lightweight, sturdy steel tubing design is compact and easy to assemble. Use with the Fend-all Pure Flow 1000 or Porta Stream® I, II and III.. -PUREFLOW AND PORTASTREAM SYSTEM. -UNSPC CODE: 46181810. -Eye & Body Wash. Global Product Type: -Eye Wash Stations-Eye Wash W/Solution. Mounting: -Wall. If you have any questions about this product by Fend-All, contact us by completing and submitting the form below. If you are looking for a specif part number, please include it with your message.